Presseinfo MMM (engl. )MMM aka Matthias Heinstein is located in Mannheim/Germany and grew up close to Frankfurt. Since the early nineties, he had been strongly connected to the healthy electronic music scene of these two cities. His first contact with electronic music he had in 89 in London during the so called 'summer of love' when acid house hit the clubs. Impressed by the energy and the vibe of this experience he soon desired not only to listen to this music but to make his own tracks. After having tried to create that sound with live instruments his first step into an electronic music career was the purchase of an akai s1100 sampler, a jd800 synth and atari computer running the software cubase. From the creation of his first tracks it was only logical for him to bring his music into the clubs, so he took his chances an soon had bookings in some of the first house clubs in germany like the 'Milk' in Mannheim, the famous 'Dorian Grey' or the 'XS' in Frankfurt and played along with Djs like Paul van Dyke, Sven Vath, Armand van Helden or LTJ Bukem on early raves like Euphoria. MMM produced breakbeat orientated music at that time with strong techno influences under the name of bassline-generation together with his brothers emanuel and alex and his sister yana. First productions were released and distributed by themselves under labelnames as 'Siren', 'Exodus' or 'Pornobass'. During that period MMM made himself a name as a Producer and DJ in the early rave scene in germany. Some of his tracks, like Acetate Drums, Crusher, Exodus or Kool Skool, hit clubs and raves world wide and appeared in sets of djs like Mickey Finn, Randall, DJ SS and other djs of the international DnB scene. Since 1992 about a 100 national and international releases came from MMM under project names such as, DJ Redoo, Skeleton Rock, Bassline-Generation, MMM, Bassdriver Unit and many more. Lablels like Smokin Drum (UCMG), Formation ( UK), Mask (Efa), Downbeat (Warner), Mole (UCMG), Siren (UCMG- UK), Compost, Exodus, MCC-Rec. or Pornobass influenced the drum n bass scene of the mid nineties with mmm..s tracks and popular remixes for and by Mickey Finn and for KRS ONE, Jam & Spoon, NAS, Rammstein, The Big Punisher, Missy Elliot, Asher D or Earl 16 from Dreadzone.With more house & techno oriented tracks like 'Enter the club' which had been played by DJs like Hernan Cattaneo or Steve Lawler he managed to establish himself as a producer of house music.Since 2005 MMM is running a digital music distribution under the label lifetime-records.com together with his sister Yana and releases his music on portals like iTunes, Beatport or djdownload.com. He promotes his an his sisters music mainly with his countless DJ or Live Sets all over germany and europe. Own club projekts like the 'Unter Uns' events in Heidelberg helped to develope a strong and independant electronic music scene there and helped new talents to break through. MMM is also busy as a producer and mastering engineer for succesful vinyl labels like oslo, cecille, ama and 8bit from mannheim. 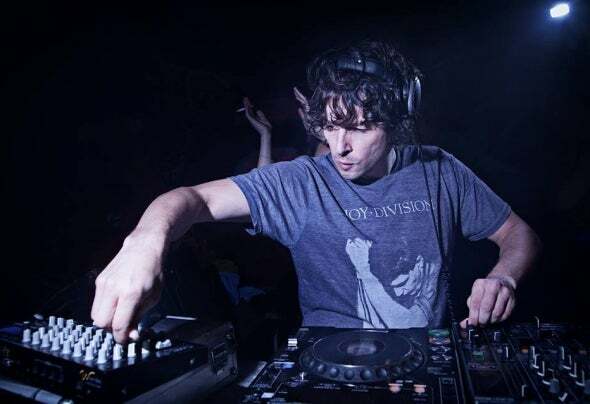 His music which constantly evolved over the years combines influences from minimal, techno and house as well as breakbeat, latin/jazz or even indie guitar and the best way to experience this very special blend is to catch MMM on one of his live sets.